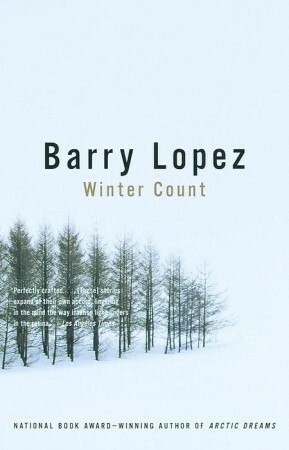 I’m reading this at the moment – ‘Winter Count’ by Barry Lopez. Short stories written with a purity and sparseness of language. Picture driving by a prairie farm, seeing a man brushing a bare field with a broom. The stories unsettle: make you more unsure of the universe we think we’re living in. Glorious surprises. It’s so refreshing, and I’m loving them. It’s not just cameras which capture fleeting, mysterious images. The most choice words on a page can do this too.